Here is a brief introduction to a few of our ambassadors. I am Naqibullah Hakim. 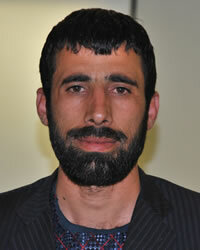 I am 32 years old and was born in Kabul, Afghanistan. I worked as an interpreter and translator for over nine years for the Australian Defence force in Afghanistan and migrated to Australia in 2014. 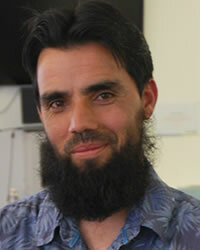 I work as an interpreter for the Australian Migrant Resource Centre (AMRC) and as a PEACE Community Ambassador at Relationship Australia SA (RASA) for my community: the Afghan Islamic Cultural Association of South Australia. I really love to help people, so I chose to join RASA. I want to use my experience and ability in the best way to help my community to avoid gambling or getting addicted to this disease. 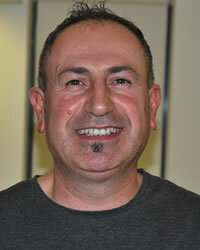 I am Uzair Safi, a 2nd year nursing student at Flinders University. I am an interpreter with ABC International for Dari, Hazaragi and Pashto Languages, which are the most common languages spoken by Afghani community in Australia. I love to work for my community and help them in any way I can. I am volunteering with various organisations such as the Migrant Resource Centre (MRC), with Australian Red Cross and am a leader of Pashtun Community and Cricket Club in Adelaide. Lately I am a Community Ambassador with Relationship Australia, South Australia, for the PEACE (Personal Education And Community Empowerment project) which supports and assists individuals, families and communities from culturally and linguistically diverse backgrounds to lead balanced and healthy lives. My name is Narges. I was born in Iran. 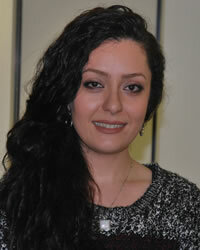 I finished my Bachelor’s Degree in General Psychology in 2011 and my Master’s in Family Counselling in 2013 in Tehran. As part of my professional development I did courses including: Mental Health, CBT (Cognitive Behaviour Therapy), Hypnotherapy, Schema Therapy, CBH (Cognitive Behaviour Hypnotherapy), Jung Analytical Psychology, Reality Therapy, Parenting, Mindfulness and Premarital Counselling. I successfully used Hypnotherapy for managing stress and anxiety, quitting smoking and weight loss. I was in the Management Team for intervention in natural disasters at the Psychologists’ Association in Iran in 2012, providing psychological support for the victims of natural disasters, such as earthquakes. I have been volunteering at the Salvation Army as a Domestic Violence Counsellor, Support Worker and Interpreter and now as a PEACE Community Ambassador for the Iranian community. I enjoy working in the community and as a migrant I am empathetic to the difficulties of new arrivals. Being fluent in Farsi, I feel that I can communicate with a range of people from Iran and Afghanistan. I have got experience with people who have gambling problems and am enthusiastic to assist migrants and refugees with gambling issues. I am Hazhar, I was born in Kurdistan and represent the Kurdish community as PEACE Community Ambassador. I have lived in Adelaide for 20 years and experienced gambling issues at family level. I always offered help and support to family members going through these issues but always wanted to contribute in a more methodical and professional way. The training for the Community Ambassador role has given me in depth knowledge and understanding of the gambling problem as well as ways to help. I feel confident and I am sure that I would be able to assist my community with raising awareness about gambling and other issues that arise because of cultural differences. I am Deepak Bhardwaj, a Law Graduate of Indian ancestry. I migrated to Australia eight years ago and am deeply involved in community in SA and its strengthening since then. 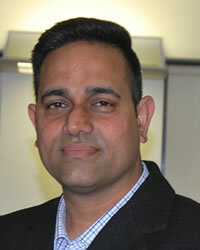 I am the Shadow Secretary at the Indian Australian Association of South Australia – IAASA – and the Co-Founder & Committee Member at Hindu Social & Welfare Association of South Australia. I am presently the President of the Taxi Drivers & Operators United. I am a strong believer that in community we are one and I have the privilege to be an Indian Community Ambassador for PEACE at Relationships Australia South Australia. Gambling creates enormous problems for the afflicted individuals, their families, employers and society, and has numerous disastrous financial consequences. I feel, as an Ambassador, the barriers are to be broken and support offered to all affected people in my community. 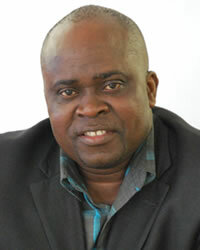 Hi Everyone, I am Sylvester Gaye Shaka and I am representing the Liberian Community. I have been working as a teacher for my community and also teach soccer to children. I am passionate about community work as I am a very religious Christian and believe in the good of humanity. I am Silvana Zeralla and I pride myself in my life experiences which have taken me from being a young Italian migrant to becoming a wife and a mother, to vegetable growing, to investment properties, to grape-growing ,to winemaking, to setting up the exclusive Enoteca Italian Restaurant. 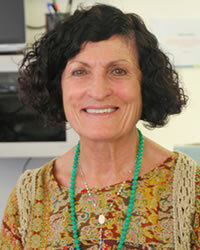 I represented the South Australian Italian Association as Vice President, having held this position for eight years. I am a strong advocate of culturally and linguistically diverse communities and take pride to be an Ambassador with Relationship Australia under the PEACE gambling project. I am Odangi Guwey and I am originally from South Sudan. I am a community leader and strive to support my community in any day to day problems that they might come across. I can speak six different languages and work as an interpreter in all these languages. It is no surprise that most of the Sudanese community can connect with me as they know I can understand their language. I became a PEACE community Ambassador as I wanted to have enough knowledge of the gambling problem as well as support services available so that I can help my community more. 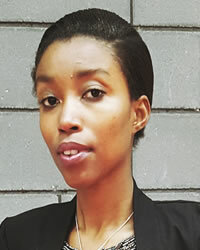 My name is Peris Misoy and I represent the Kenyan community. I am a qualified Social Worker and I am very active in my community. People contact me for different problems that they have and request me to help them. I try to provide them with best information possible. As a PEACE Community Ambassador I am sure I would be able to offer more support and information especially for people going through issues related to gambling harm. Hello, I am Cholly Winter. 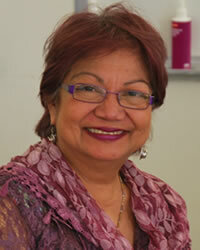 I was born in Manila, Philippines and migrated to South Australia in 1976. I am proud to say I graduated from the University of Santo Tomas, the highest pontifical and oldest university in the Philippines. I completed my studies gaining a Bachelor’s Degree in Commerce, majoring in Business Administration/Management and minoring in sociology. I also hold an Associate Degree in Secretarial Science. When I started my professional career I was a secretary and an assistant in administrative, personal and executive capacities. I then moved to become a community worker and a business entrepreneur. I am passionate about community and I have been working as a volunteer for my own Filipino community since 1977. In 1998 I became involved with the multicultural communities by joining the Multicultural SA Volunteer Migrant Information Officer Network. I hold positions as a member of the Board of Multicultural Aged Care, a member of the Filipino Settlement Coordinating Council of SA, Chairperson of the Filipino Aged Care SA and at Senior Peer Education Centre of COTA Seniors Voice. I have been a part of PEACE multicultural Services for a long time and know this work very well. I’m pleased to be able to continue with them in yet another capacity. Hi I am Jolie Hirwa and I am from The Democratic Republic of Congo. I currently live in Mount Gambier where we have a large Congolese community. Unfortunately there are many varied issues present within my community and I have an understanding that gambling problems arise due to many different stresses accumulating at once. I see firsthand that many members of my community are going through stress and do not know where to go. Because of this, I wanted to become PEACE Community Ambassador to link my community with a service that really understand their problems and also to be someone who leads by example help others understand the problems and offer support. 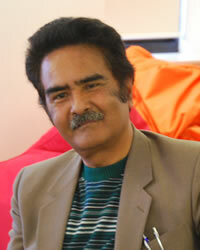 Hi, I am Ratan Gazmere and I represent the Bhutanese community as well as Nepalese community. My wife and I have been actively involved in community work for the last 22 years. This is our shared passion. I am a community activist, advocate and wish to see positive change at grass roots level. Change to me is embodied in fostering relationships that make people live in harmony and happiness. I am sure by being a PEACE Community Ambassador I can further achieve these outcomes. Hello, I am Emmanuel. I came to Australia as an unaccompanied minor and have never regretted a single moment. I have been involved in community work for refugees as I can feel what they go through with my own lived experience. Migrants who have suffered adverse circumstances go through pain an isolation and sometimes as a result can struggle with issues like drug and alcohol abuse and gambling problems. In my capacity as a PEACE Community Ambassador for Rwanda , I wish to be able to offer ongoing support to my community. My name is Komninos Malatos. I am a Masters Graduate in Social Work, with Degrees in Education, Religion and a Masters in Arts. I am of Greek Heritage and I am currently working as a Social Worker with the Greek Welfare Centre and an Associate Lecturer at Flinders University. I am a great advocate for the CALD community within South Australia, constantly working with various agencies to improve services and break down barriers. I am always striving to widen my knowledge and assist in reducing the effects of gambling. I am a strong believer that we must increase the awareness of gambling and its consequences within the community. I am Nabin Pant and I am the Community Ambassador for the Nepalese community. 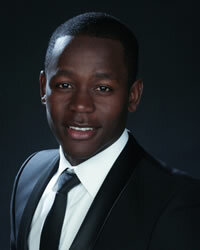 At the age of 16, I joined RSC (Rupendehi Student Council) which aimed to promote the hidden talents of students. After volunteering for a year as member, I was elected as coordinator of RSC which gave me an insight about my interest in becoming a social worker. I contributed as an activist in “Come on youth stand up” when I was a community service officer at “Rotary Club of Rupendehi”. I also ran a motivational program for youth on Radio Namaste to encourage the youth generation to contribute to the development of Nepal. I have been volunteering in different roles over the years which included volunteering during different natural disasters like floods, fire, landslides and earthquakes and supporting affected people. Currently I am working as sub-editor in the Nepali Vision (a Nepalese community-based newspaper) and radio presenter in “Voice of Sangrila” which is broadcast every Sunday on Radio Adelaide. I also contribute as a secretary in NRNA (Non-Residential Nepalese Association, South Australia) which has given me a broad understanding of different communities in South Australia and their issues. Besides my interest in social work, I like music and also work as a band manager of “Inside Out Band” which already released their debut album in 2012. Integrating music into social work would be a dream come true and I hope to achieve that through my role of PEACE Community Ambassador. My name is Nasir Hussain and I was born in Lahore, Pakistan. I am a PEACE Community Ambassador for Pakistani community. I am an executive member of the Pakistani Australian Association of South Australia (PAASA) and actively involved in volunteering with various community organizations in Adelaide. In December 2015, I completed my Master of Social Work from Flinders University, South Australia. Prior to this I ran my own business in Adelaide. I am passionate to help people from disadvantaged communities and advocate for individuals and families who are suffering due to a gambling addiction or alcohol and drug abuse, as well as support them in the recovery process. I am actively engaged in educating my community about gambling issues and working in collaboration with other organisations to provide specialised support and services to those experiencing gambling challenges. 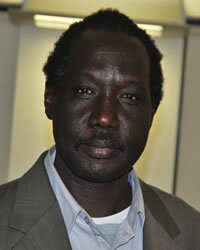 Hi, I am Chol Mabior from South Sudan. 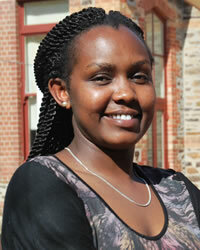 I am a youth leader within my community and have been actively working towards the development of Sudanese youth. I hope that by undertaking this role I can provide them more opportunities to grow and prosper in Australian society. I have a deep concern about the rising issues that young people face from problem gambling and wanted to be able to help which is why I chose to become PEACE Community Ambassador .